Disney is where the magic happens, and one of the projects Disney Research scientists are working on that will wow visitors at the Magic Kingdom one day is technology that makes virtual reality more dynamic. For example, what about merging virtual reality with the physical world? Catching a ball is a complex motor skill involving hand-eye coordination that we start learning at pre-school age, which asome of us still haven’t mastered. In a Disney research experiment, a subject is able to successfully catch a real flying ball thrown to him while immersed in virtual reality using a VR headset. According to Disney’s announcement, scientists tracked the ball’s movement and the location of the head and hands of the person catching the ball with a motion capture system. They then virtually rendered the scene so it could be viewed through a VR headset while the user caught an actual ball. For this experiment, three scenarios were examined and rendered: The ball’s actual position, the predicted trajectory of the ball, and the target area along the trajectory where the ball could be caught. Unscented Kalman Filtering was used to predict the motion of the ball. Subjects were able to catch the ball successfully in all three visualizations. However, when the subject only saw the target are where the ball could be caught, they modified their actions and reached out earlier to catch the ball. As shown in this video, Catching a Real Ball in Virtual Reality, the subject sees where the ball is predicted to be and is able to catch it. According to one of the researchers involved in the study, Disney Research lab associate Matthew Pan, "The most apparent explanation is that, without information about the ball's location, the catcher must rely on the identified target point, changing the task from one requiring higher brain functions to estimate trajectory to a simpler, visually guided pointing task." Predicting and displaying where the ball would be in real life gives the user an advantage, and the experiment opens a door to the future. The ability to reach out and actually touch could potentially transform virtual reality. There are possibilities for gaming (Jedi training, of course), but the possible use cases are endless—training first responders, athletics, and health care settings are a few that come to mind. 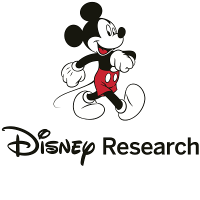 The research paper by Günter Niemeyer and Matthew Pan of Disney Research Los Angeles was originally presented at the IEEE Virtual Reality 2017 conference.